Before the arrival of tablets, I used to read books on my computer. Then I moved to iPad, because of its mobility and the tactile feel in my hands. As I started using it, I had to try a few PDF reader apps for reading eBooks. Let me review one such app. PDF Reader iPad Edition was a bit pricey, especially given that I was looking at the app in order to save money on eBooks, but because of all the positive reviews and interest on the web I decided to go with it. The interface is easy to use, it has the balance between simplicity and many functions that every app should look for, and it enables you to carry as many books with you as you could ever read. 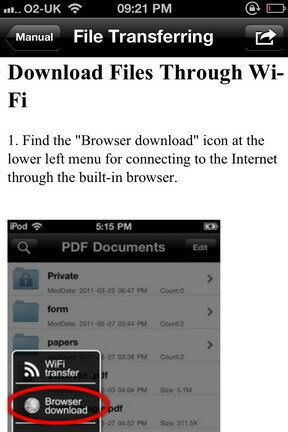 Plus, the ability to download almost any .pdf file from the internet on the go can be a real life saver. It’s not without its issues though, like a few interface errors that can sometimes lead to crashes. You can jump to your .pdf library to open and read your stored PDF’s, jump to the Import section to add new content to your library, even scan and compile new PDF’s from photographs. Managing files is not difficult, and reading your stored. This PDF Reader is is as intuitive as any eBook reader out there. This simplicity of use is important for any utility that could potentially be one of the most used apps on an iPad, so this is definitely something the makers of PDF Reader iPad Edition did well. Users can also copy and paste text from your files, edit them, comment on them, even fill in signatures with the touch screen. The only issue with the interface was a tendency to stutter while trying to scroll quickly through large lists or through a PDF file. This can be quite a frustration, but only very rarely leads to more complete crashes or bugs. If you read or work from your iPad in almost any capacity, iPad Reader PDF Edition will quickly pay for itself. This app is compatible with iPad and requires iOS 4.3 or later. Managing documents is always difficult, especially when you have a lot of them. Certainly, it is not possible to carry all of them wherever you move. But it is easy to carry your iPhone/iPad anywhere you go. You must be wondering what makes this app so special. With just a few simple clicks of your mobile’s camera, you can manage your documents perfectly using Snap2PDF. Snap2PDF is a universal app, designed for both iPhone and iPad, for organizing your whiteboards, receipts, business cards, magazine articles, posters, print outs, coupons and newspaper clippings. All you have to do is take a snap of the document and the app converts it to PDF format right away. Now you can share the converted files through SMS and email. It recognizes various languages like English, French, German, Italian, Spanish, Chinese, Japanese, Korean, Portuguese, Dutch, Czech, Danish etc. 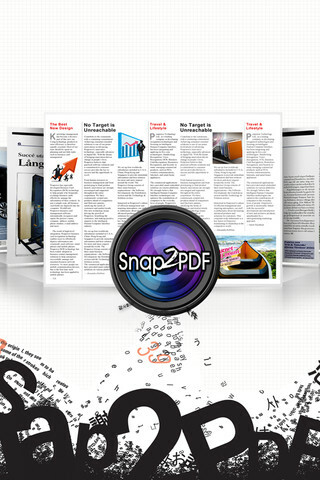 Snap2PDF is a very simple app to handle. Just take snaps of your documents and they get converted to PDF files automatically. You are provided with many options to manage your documents. For creating a PDF document, you can either take a snap using your device’s camera or select a photo from your album. Your PDF documents can be edited and managed, as per your requirements. You can add/delete/rearrange pages in your document effortlessly. You can also organize your documents under different categories by tapping the category, naming it and adding the document to it. Searching for a document can be easily done using the keyword search option. Snap2PDF allows you to share your documents in .pdf format through email. The most convenient feature of this app is that you can create a Dropbox account, select documents and export them to your Dropbox account for safe management. You can open a document as a PDF file in other PDF viewer apps like iBooks, FileExplorer etc. You can make your document search easy by choosing the preferred language of index. There is also an Optical Character Recognition (OCR) facility to automatically pick out blocks of text from images. Snap2PDF is a very useful app that provides multiple ways of managing, securing and sharing files easily. It costs $2.99 and requires iOS 4.3 or later. PDF is the most common file format used to share and publish documents. That’s why people always look out for apps that can help them handle PDFs on the go. 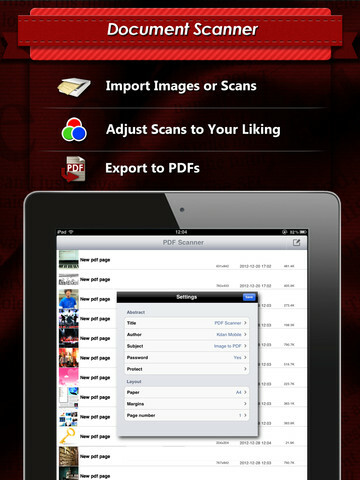 PDF Reader Pro lets users download, edit and email PDFs right from their iOS devices. Although a little complicated at first, this tool really is indispensable if you need a reliable way to help you keep on top of your workload. This app is optimized for use on the iPad but works just as well on the iPhone even if the buttons are a little small. The file structure is well laid out, organized and easy to navigate. The search facility is fast and comprehensive – looking into all folders inside the app and not just the folder you are in at the time. You are able to download single page, as well as full PDF documents, via the in-app browser. It has a scan facility that uses the iOS device’s camera to take pictures of text or pictures and convert them into PDFs. This scan mode is fast and the text is clear and crisp. It also has editing functions to change colors, sharpness, brightness etc. and is something that really adds to the usability of the app. Once you have scanned or downloaded a PDF, you are able to use a freehand tool to highlight, annotate, mark or just add a personal touch. This is where the bigger screen of the iPad would really help as it can be tricky if you do on the small screen of the iPhone or iPod Touch. The zip function helps in condensing the size of file; therefore ensuring no extra space is used when saving the documents. Not just able to export, but the app can also import already taken photos from your Photo Albums. The private folder has the option of password protection to ensure security when you are carrying around sensitive information. As I said PDF Reader Pro has a lot of features. However, the price of this app is slightly on the higher side set at USD 5.99. I think the developer should find a right strategy in terms of pricing to make this app even more successful. All in all, PDF Reader Pro can help users one who needs quick, on the go, access to a reliable PDF reader, viewer and editor. It is compatible with iPhone, iPod Touch, and iPad and requires iOS 4.2 or later. 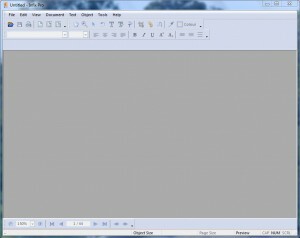 In this article I am going to review a piece of software by Iceni Technology, called Infix PDF Editor. 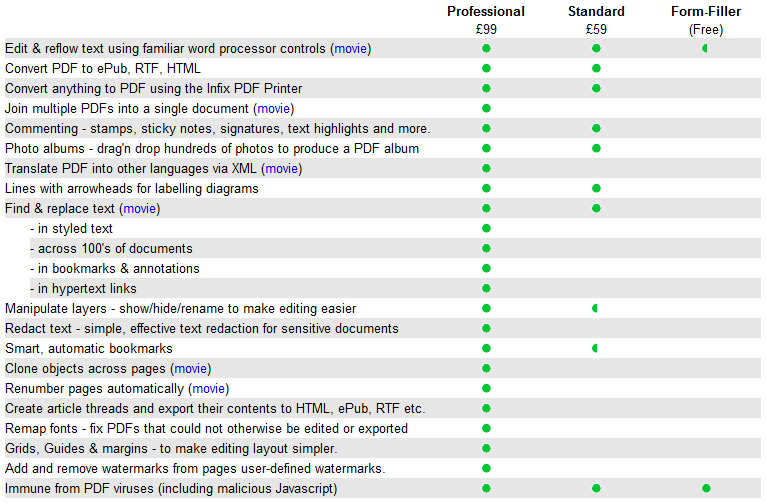 The version I will be reviewing is Infix Professional for PC. The quote mentions ‘Infix Pro’; this is because there are three different versions of the software. Form-Filler – a free version of the software which only lets you edit and reflow text. The ‘Standard‘ version of the software offers a lot more functionality, also allowing you to convert PDF files into other formats (ePub, RTF and HTML), add notes to the document, among other things. The ‘Professional‘ version lets you do even more, including joining multiple PDFs into one document, automatically renumber pages and adding/removing watermarks. 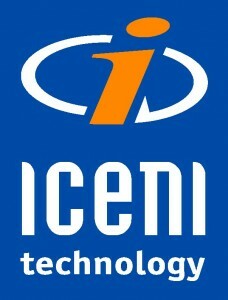 For full details of what the different versions offer, check out the table below which is from iceni.com. The Form-Filler version of the software is free to download. The Standard version costs £59 and the Pro version £99. So, that is the technical specifications of what the three different versions of the software offer, but, the real proof of the pudding is in the using – how easy the software is to use, and does it really work like it says it does. The interface is very easy to follow. It works in the same way that many programs do, so that you can find your way around it really easily, and you don’t have to spend a long time pondering what buttons do. I call this type of approach to software interface design KISS – Keep It Super Simple. A KISS approach to interface design is, in my opinion the best. People don’t buy software for it to look good on their PC, they buy it because they want to increase their productivity, learning or enjoyment in some way. As a result of the KISS approach, the interface does look a little basic. Basic is easy to understand, but not necessarily the most aesthetically pleasing. In my opinion the functionality of software comes first, and aesthetics comes second. If you want software that looks okay and works well, then Infix fits the bill, however if you must have designer looking software, then you might be better looking elsewhere. Below is a screenshot I have taken of the software. As I mentioned above, the design really aids the usability of the software. It is easy to find the function you want with the various optional toolbars, and the menu options. Much of the software on your computer is probably not made by Microsoft, however you will probably notice that most software designers stick to the standardised layout. File, edit, view and help are standard on the top menu, below the top menu comes some optional toolbars, then the main content you are viewing, with a few options (often involving resizing and scrolling) at the bottom of the window. There are some software producers who stray away from this tried and tested design. Sometimes it works, often it doesn’t. In Infix PDF Editor, the design conforms to the standard design, meaning that it is really easy to work out what is what. Okay, the software may be easy to use, affordably priced, etc. however if it doesn’t work, you aren’t going to want to buy it. I can inform you that it does work, and it works really well! I have tried editing various different PDF documents with the software and it has surprised me every time with the functionality it offers. Like in Microsoft Word, you can ask the software to track changes, and put them in a different colour. 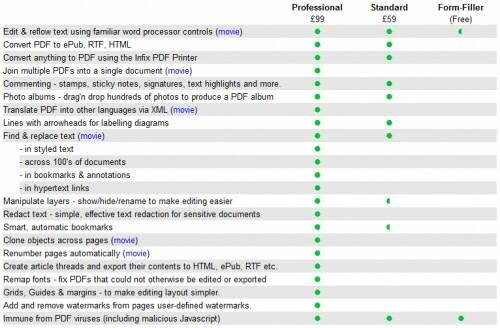 This can be really handy if you want to show someone what you have edited. You can also add notes when editing PDFs, sticky-notes, scribbles, text highlights and stamps are all available options, and as you would expect, when you save, you can view the edits with any PDF viewer. For more details, check out this handy screenshot and explanation on the Iceni site. Not only does the software make it easy to edit PDFs, but it also makes is it easy to copy data from them. Sometimes, the way the PDF is constructed, if you try to copy some of the contents, say to quote it, when it goes into your document, it can often be a little mixed up. Infix makes it really easy to copy data from PDFs and transfer it to other locations. The software also makes finding and replacing text really easy. Edit > Find and Replace > Replace > type in the word(s) you want to be changed and what you want the change to be to > click ‘replace’ and the software will chew its way through the document, changing any occurrences of the terms you asked it to. If you are tracking changes, you can then see the words that have been changed. There are so many other things this software can do, it would take far too long for me to talk about them all. To mention a few you can: adjust paragraph indents, add header and footers, add new text, merge PDFs and renumber pages. Good software always needs to be backed up by good help and support. 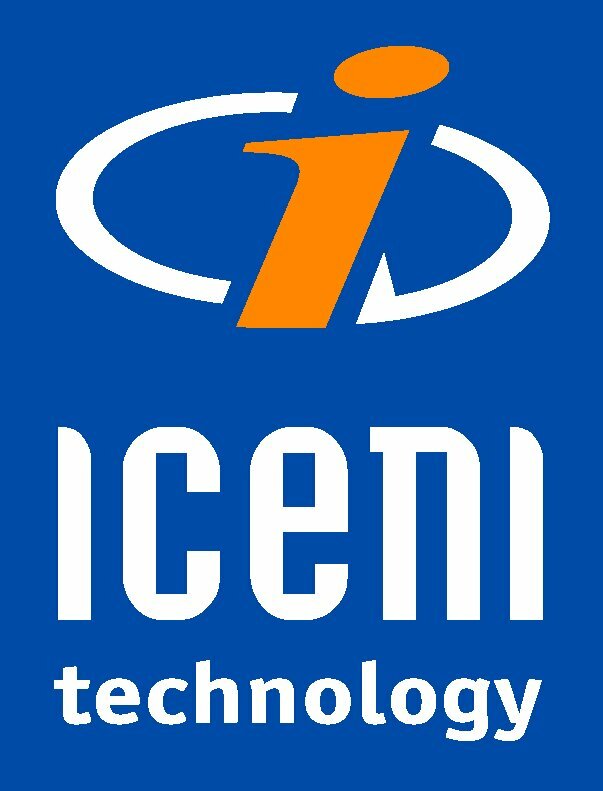 Iceni Technology don’t fall down in this area though, not with Infix at least. Their website hosts a series of screenshot guides and video tutorials which help you get to grips with all the different functions of the software. They also have a support helpline and email address. Infix is very diverse, and can be installed on a USB memory stick, Windows PC (2003, XP, Vista and 7) or a Mac (with MacOSX 10.5 or above). For Windows 2003/XP you need at least 512MB of RAM (almost all PC’s do) or 1GB for Windows Vista/7, as well as a 1GHz x86 processor/CPU and 60MB free disk space – that should be no problem. In terms of weight (power and space needed to run the software) I would say it is relatively light. I have some programs that require around 15GB of hard disk space, and a very capable graphics card, along with a large amount of system memory. Don’t get me wrong, still check your PC is up to the job, but I personally think most peoples will be. Is Infix Value for Money? Like I almost always say when I end a review, whether you think the product or service is value for money really depends upon what your use for it would be. If you occasionally use PDF documents and would like to be able to change them as a convenience, but don’t really need the software for any reason, I would suggest that it probably isn’t going to be that useful to you. If however you are regularly dealing with PDFs, for whatever reason, be it part of your job, hobby or whatever, and would find it helpful to be able to make changes to them, then I think you would benefit from Infix software. Whether you go Standard or Pro is for you to decide, I think they are both reasonably priced for the services they provide, and the additional help that you get online. If you are interested in Infix PDF editing software feel free to visit the link which follows through to the software’s site, where you can learn more about it. What are your thoughts about the software? Would you find it useful? If so, will you be buying it? Any questions, feedback or comments, as always, leave them below.